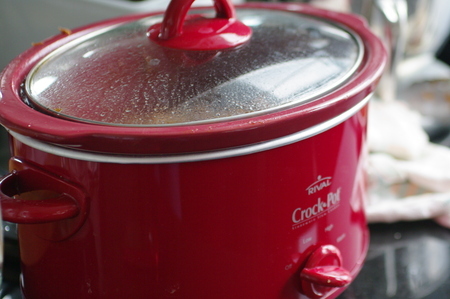 This chicken and rice crock pot recipe is so simple that at first the whole team here at Simple-Chicken-Recipes.com dismissed it immediately. We thought that how can something that even a toddler can cook be nice? And then we tried it. And it was amazing! Just take a look at the ingredients and you can see exactly what i'm talking about. So, as long as you have a strong wrist and a tin opener, you should get on just fine with this recipe. If you havn't, then I suggest you go back and take a look at some of our more 'authentic' chicken crock pot recipes. Open the tins of soup and pour them along with the rice into the crock pot. Mix in crock-pot the 3 cans of soup and rice. Place the chicken on top. Sprinkle with salt and pepper, cook on a high heat for about 3 hours.